Homeschool convention season has arrived! 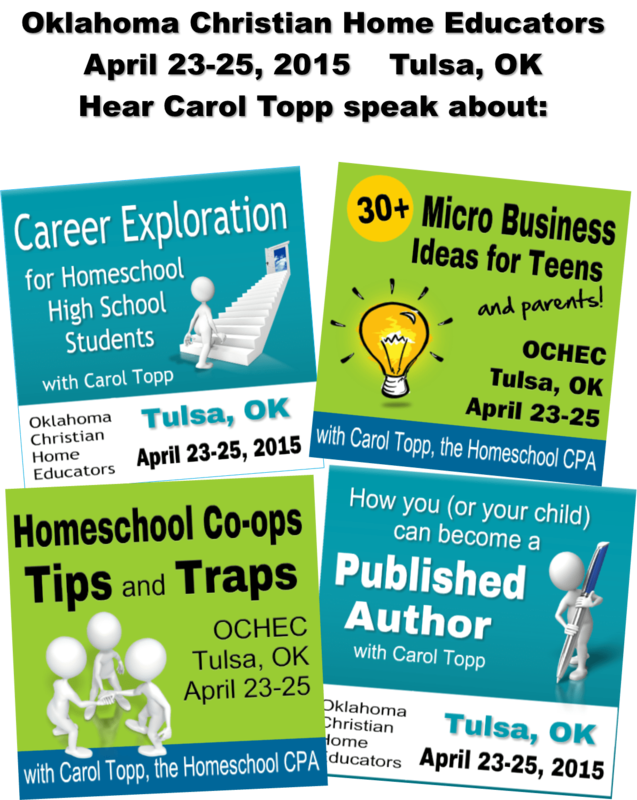 I met many of you last week at the Midwest Homeschool Convention in Cincinnati and next week (April 23-25) I’ll be in Tulsa, OK at the Oklahoma Christian Home Educators conference. It’s the first time that I’ve been to Oklahoma, so I get to check another state off of my list! I’ll be speaking on several topics including micro business for teens, career exploration, leading a homeschool co-op and becoming an author. Can’t make it to any of these conventions? Listen to my podcast, The Dollars and Sense Show. Are you raising a child or a grown up?